But Weston said he was not aware of the group until the late 1920s, though it is not clear when or how he encountered their work. (13) There is some debate as to how this was possible, as some members and work of Group of Seven was present in Vancouver as early as 1922. There were, however, distinct divisions in the art worlds of the east and west in Canada at that time. 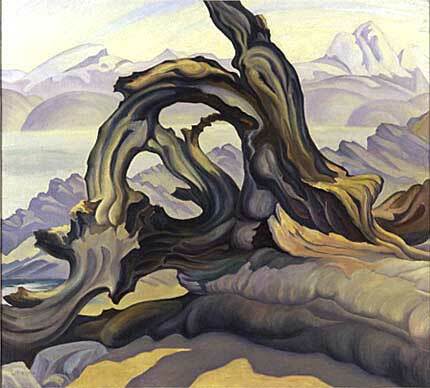 Work by BC artists was not shown in Ontario until 1929. Weston, Frederick Varley, Charles Scott and Jock MacDonald, wrote to the National Gallery and requested that their work be considered for exhibition. This breakthrough was the beginning of regular exibits of Weston’s work in Central Canada and led to further recognition.